You are here: Home › Stayfitcentral Health & Fitness Blog › Health & Fitness Blog › Buyers Guides › Why Doesn’t Creatine Work For Me? Have you taken creatine and not gotten the same benefits as your friends at the gym? You are not alone. Research shows that about 20% of the guys and girls who take it do not see results. Don’t think there’s no hope. 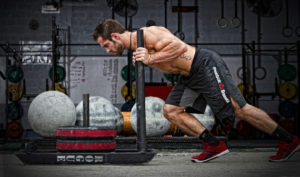 This article contains information that help you go from creatine non-responder to one of the guys who packs on muscle and gets stronger in a matter of weeks. Recently published research sheds light as to just why creatine supplements don’t help about 20% of us build muscle, get stronger, and recover faster. In this study, scientists had 2 groups of men take 20 grams of creatine for 5 days. The creatine content in their muscles was tested on days 1 and 5. The men whose muscles absorbed a siginificant amount of creatine were labeled to as responders. Those who barely moved the needle in terms of creatine uptake were classified as non-responders. The men who didn’t responder to creatine all had a few things in common with regard to their muscle physiology. The first is that had less muscle mass than the guys in the study who responded to creatine. They also had smaller type II muscle fibers. These are the fibers that get bigger and stronger when you lift weights and put everything you have into your workouts..
Another characteristic of the non-responders is that they had higher levels of creatine in their muscles at the start of the study. The first thing these results tell me is that if you don’t seem to benefit from creatine it may be because you need to either start lifting weights or if you already are, work out harder and smarter. Simply having more muscle, or turning on the muscle building process by lifting weights could be all it takes. Focusing on the basics will help you kick start muscle growth. This means workouts that use total body exercises like squats, kettlebell swings, push ups, and deadlifts. These exercises are proven to be the best for stimulating muscle growth. Forget about exercises like biceps curls, calf raises, crunches, and laterals as they train smaller muscles and don’t produce the same benefits. Every exercise should be done for 3-5 sets using heavy weights you can lift for 5-10 reps per set. Make sure you get into the gym 3-4 days a week. Another thing to be learned from this study that we may not be able to change is how much creatine you have in your muscles before taking it as a supplement. Your muscles already be ‘loaded’ with creatine due to genetics or if you eat a lot of red meat. If you either of these fit you, you’re better off using other proven sports supplements like branched chain amino acids and beta alanine. Both are also proven to build muscle and help you work out harder. 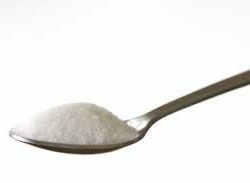 What Else Can I Do To Make Creatine Work For Me? Now that you know why it may not work for you and the big things you can do about it, it’s time to go over a few other tips to ensure you get as much benefit as possible. Three of my favorite tips are listed below. 1. Only use creatine monohydrate. Study after study shows this type of creatine outperforms all others. Make sure the product you buy uses creatine monohydrate and no other types. 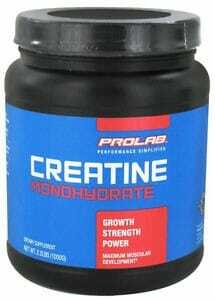 My personal favorite is Prolab Micronized Creatine Monohydrate. 2. Make sure you take the right amount. Research shows that ‘loading’ your muscles with creatine by taking 20 grams a day for 5-7 days produces the best results. After taking 20 grams for a week you can back off to 5 grams a day to keep your muscles filled with creatine and the benefits coming. 3. Take your creatine post-workout. Results from one study shows that taking creatine monohydrate post-workout helps get more into your muscles. If you are doing a loading phase, you may want to take your first 10 gram serving immediately post-workout and a second 1-2 hours later. The reasons this times may work better than others is that your muscles are most able to absorb nutrients the first couple of hours after you finish your workout. Now you know why you may not respond to creatine and what can be done to increase the odds that you will. Give them a try and see for yourself what a difference a new strategy can make. 1. Antonio J, Ciccone V. The effects of pre versus post workout supplementation of creatine monohydrate on body composition and strength. Journal of the International Society of Sports Nutrition 2013, 10:36. 2. Bellavance, Jamie. 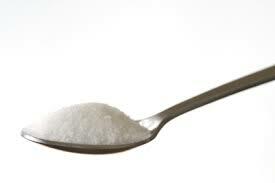 The Facts About Creatine. MensHealth.com. 4. Jagim AR, Oliver JM, Sanchez A, Galvan E, Fluckey J, Riechman S, Greenwood M, Kelly K, Meininger C, Rasmussen C, Kreider RB. A buffered form of creatine does not promote greater changes in muscle creatine content, body composition, or training adaptations than creatine monohydrate. J Int Soc Sports Nutr. 2012 Sep 13;9(1):43. doi: 10.1186/1550-2783-9-43. 5. Preen D, Dawson B, Goodman C, Beilby J, Ching S. Creatine supplementation: a comparison of loading and maintenance protocols on creatine uptake by human skeletal muscle. Int J Sport Nutr Exerc Metab. 2003 Mar;13(1):97-111. 6. Spillane M, Schoch R, Cooke M, Harvey T, Greenwood M, Kreider R, Willoughby DS. The effects of creatine ethyl ester supplementation combined with heavy resistance training on body composition, muscle performance, and serum and muscle creatine levels. J Int Soc Sports Nutr. 2009 Feb 19;6:6. doi: 10.1186/1550-2783-6-6. 7. Syrotuik DG, Bell GJ. Acute creatine monohydrate supplementation: a descriptive physiological profile of responders vs. nonresponders. J Strength Cond Res. 2004 Aug;18(3):610-7. 8. Velema MS, de Ronde W. Elevated plasma creatinine due to creatine ethyl ester use. Neth J Med. 2011 Feb;69(2):79-81. Creatine HCL Vs. Creatine Monohydrate – Which Is Better?